Pink Rhodonite; Inspires emotional healing, relationships, and using your heart. 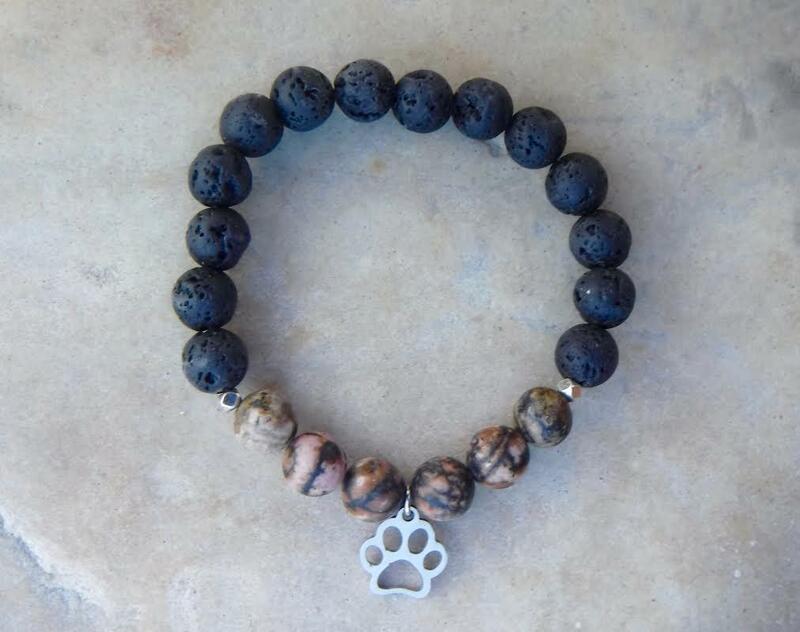 Paired with a stainless steel Paw charm spreading the love to all living beings. Mixed with black lava for strength and clarity.